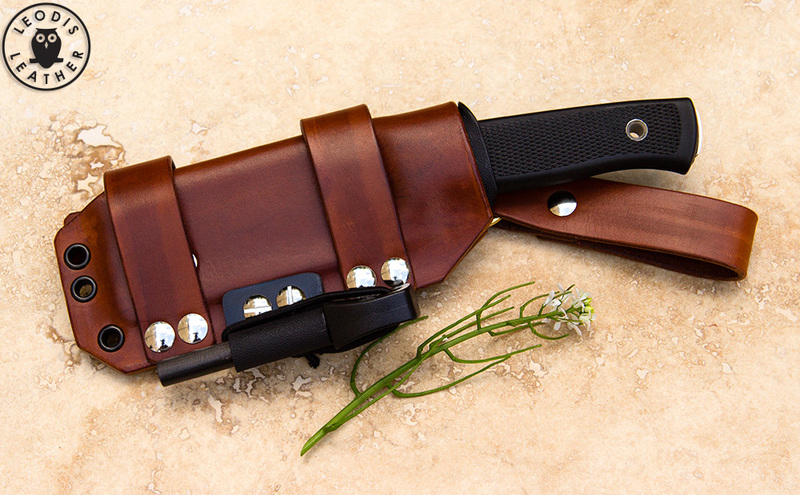 These are bushcraft sheaths which are designed for multi positional carry depending on the configuration of straps. 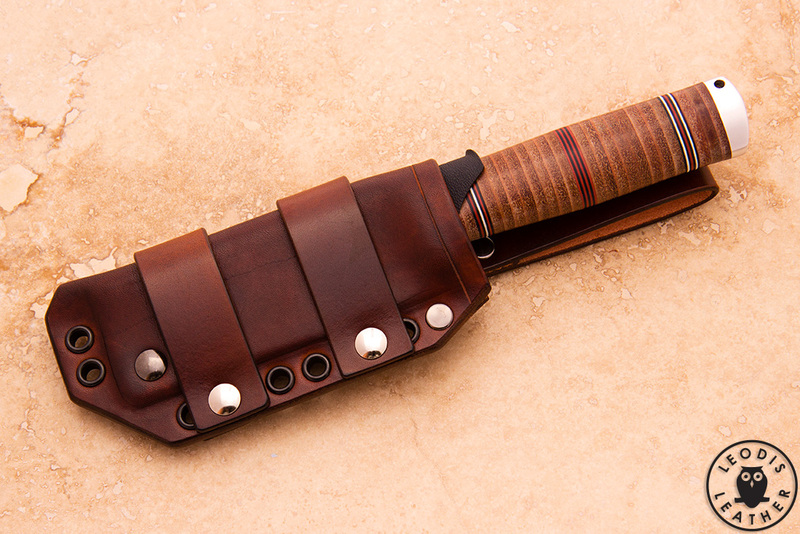 These sheaths can also be made for knives of a similar style to the F1 (they need to be flat along the spine and handle and can not have thick handles). 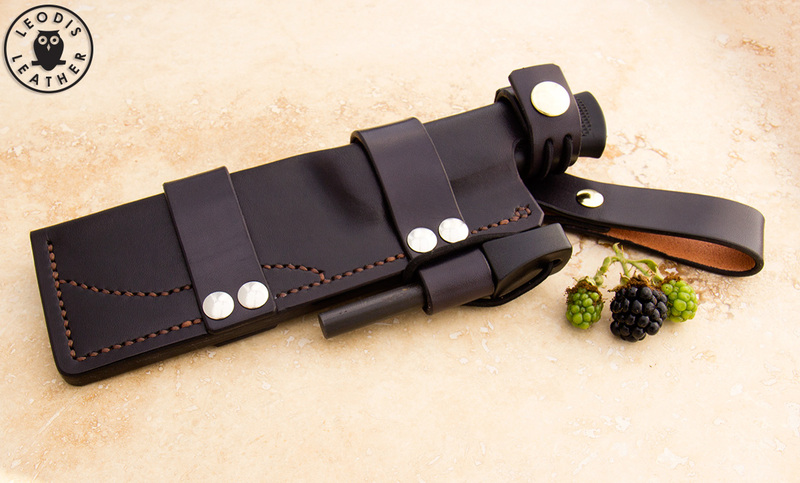 They are primarily designed for carrying on the small of your back, if you wish to carry one on your stomach most of the time you will need to specify left handed (assuming you are right handed) or just tell me it's for stomach carry. 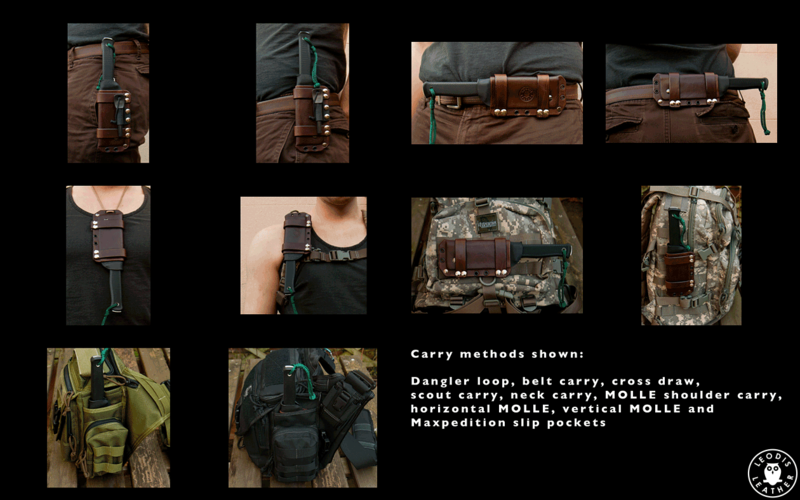 For more info on carry options please see this PDF. 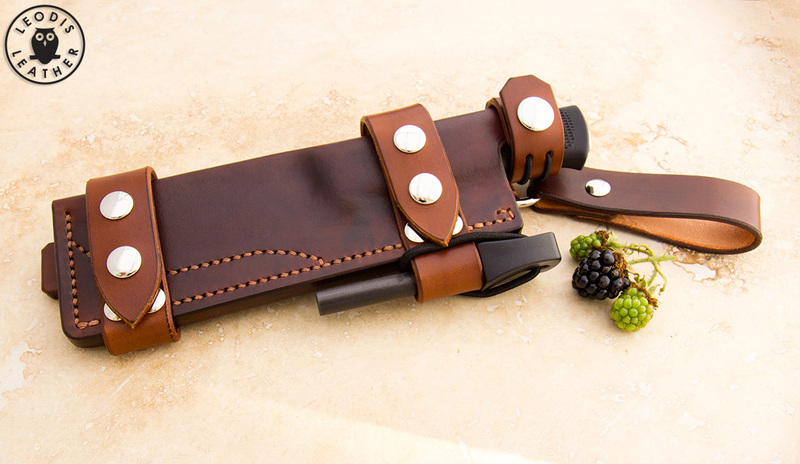 These sheaths are made with an inner kydex sleeve and a leather outer cover. 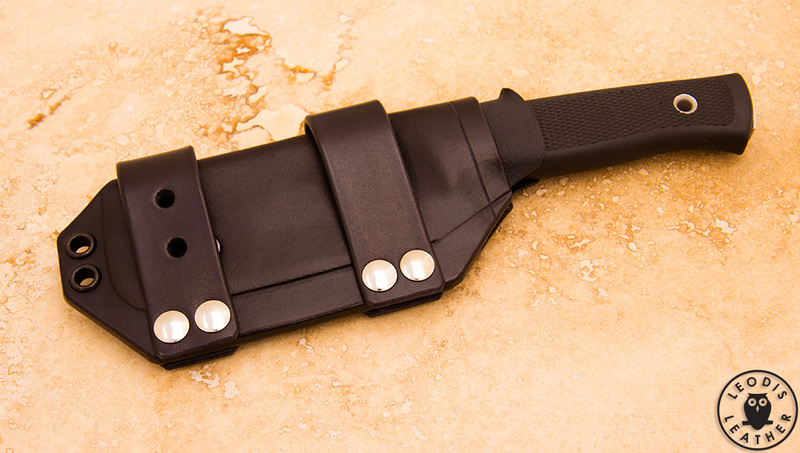 Using kydex means that the inner section can be removed and washed through if necessary, for example if the knife has blood on from skinning and animal. 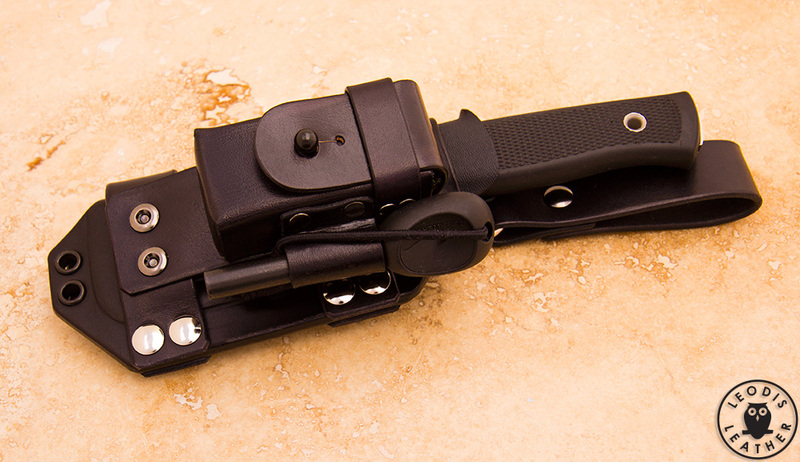 Using kydex also means that there is no retention strap so the sheath is fully ambidextrous and can be reversed either way to suit almost any type of carry including cross draw, scout carry, belt or dangler carry and neck carry as well as PALS/MOLLE mounting options. 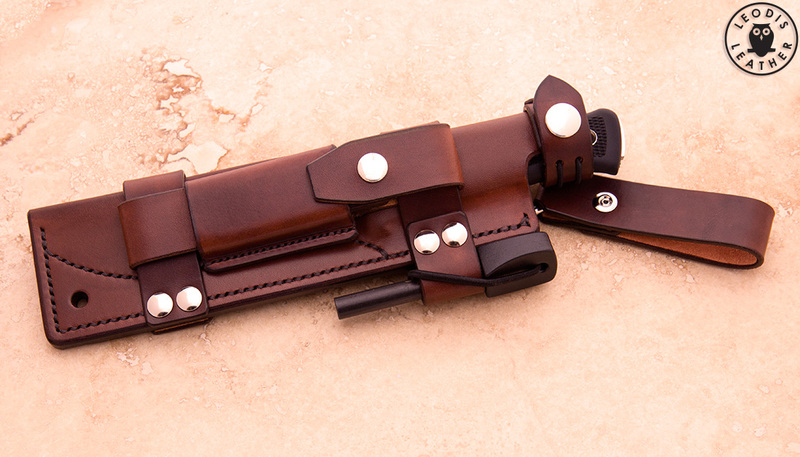 The sheath is fully modular and can have a removable vertical adapter, DC3/tinder pocket and fire steel loop.